SCE projects and activity news. 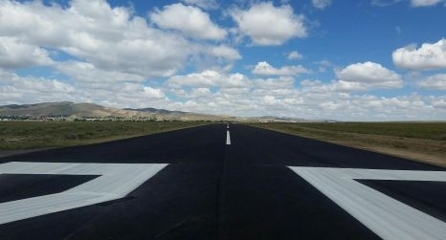 Runway 05/23 – the longest general aviation runway in Wyoming at 8800 ft x 100 ft – was milled, overlaid with three inches of plant mix pavement, and grooved to improve friction and minimize hydroplaning. The runway lighting system was improved with the replacement of all cable, transformers, and new LED light fixtures. New 4-box, precision approach path indicators were installed on each runway, and new runway end identifier lights were installed on Runway 05. 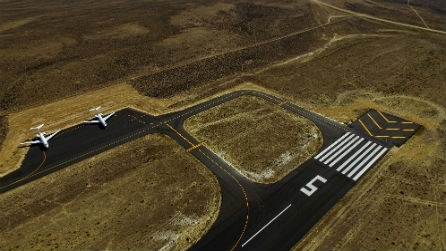 Work also included milling and overlay of the blast pads on both ends of the runway and a new holding bay/bypass apron was constructed off Taxiway A near the end of Runway 05. Following all that work, the pavement on the airport was treated with a seal coat and re-marked – making the airport look like new. The following are photographs provided by the Maddox family and Logan Barnes at Saratoga Jet Center and Snowy Range Ski Area. 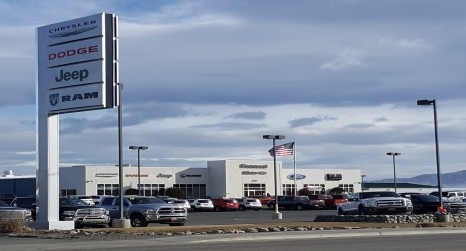 Contractors working at the airport included Century Companies, LLC, Modern Electric, Midstate Reclamation, Straight Stripe Painting, Rocky Mountain Reclamation, and Cardinal International Grooving. 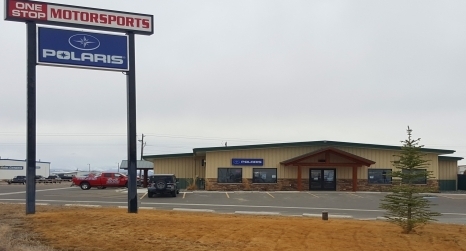 Trailhead Park, Cody, WY - The City of Cody has developed a 2-acre city park within the Trailhead Subdivision on Cody’s East side. 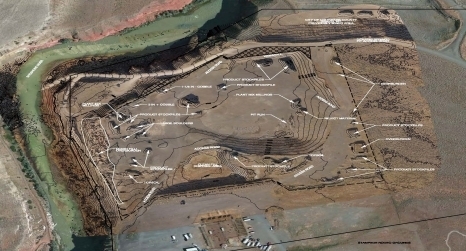 Sage Civil Engineering prepared the design and bid documents for the two phases of the park's construction. Phase 1 included topographic mapping, grading, topsoil placement, design/installation of a sprinkler system, and seeding. Phase 2 involved conversion of an open irrigation ditch to pipe. Trailhead 3 P.U.D. 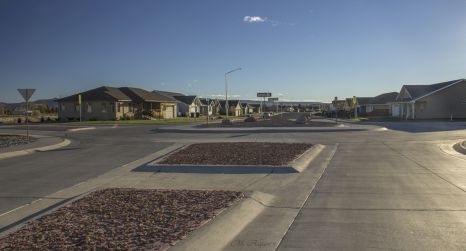 Phase 7, Cody, WY - Construction is now complete on the final phase of the Trailhead Subdivision. 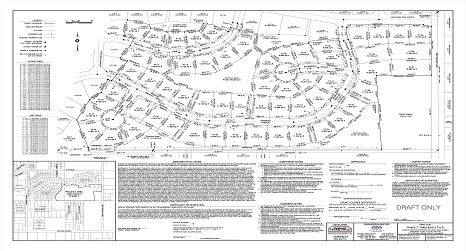 Phase 7 consisted of 58 single-family residential lots and several common-area lots. 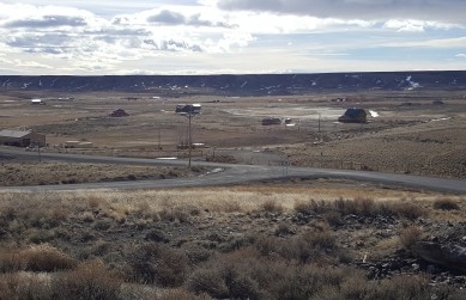 The Trailhead Subdivision is one of many subdivisions around Cody designed by Sage Civil Engineering. 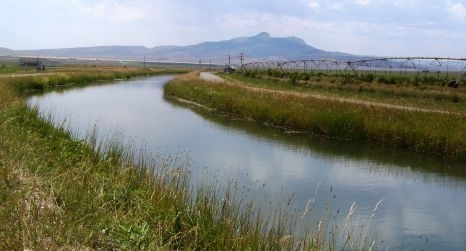 Wyoming Water Development Commission Master Plans - In conjunction with the Wyoming Water Development Commission, Sage Civil Engineering has had the opportunity to complete several master plan studies for irrigation districts. These master plan projects included system evaluation/mapping, conceptual designs/cost estimates, geographic information system (GIS) development, water rights/right-of-way review, land classification mapping, and project financing evaluation. Included in some of the projects were review for SCADA implementation and rehabilitation of existing structures. 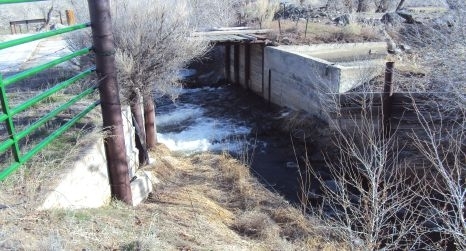 As of year-end 2017, the irrigation districts for which SCE has completed master plan projects include: Shoshone Irrigation District, Keystone & Farmers Canal, Lakeview Irrigation District, Heart Mountain Irrigation District, Willwood Irrigation District, Bench Canal Company, Deaver Irrigation District, and Lovell Irrigation District. 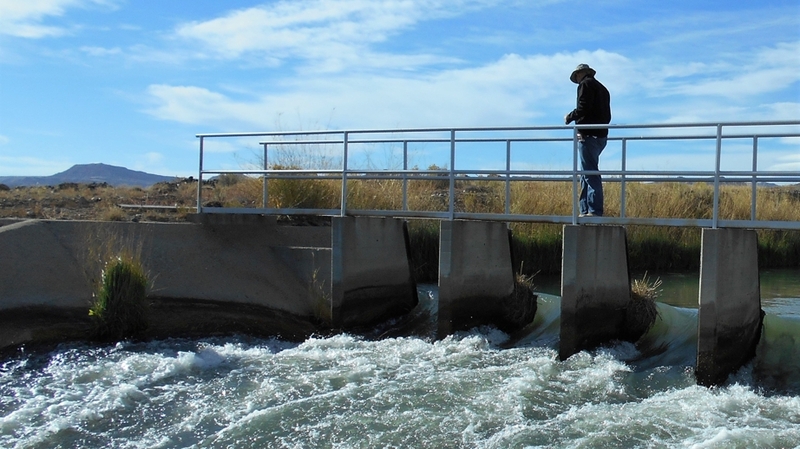 In 2018, SCE completed Level II Studies for Cody Canal Irrigation District and Kirby Ditch Irrigation District. 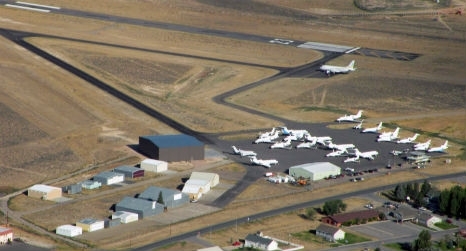 Rawlins Municipal Airport, Runway 10-28 Rehabilitation Project - Design and construction was completed in 2016 for the rehabilitation of Rawlins' crosswind Runway 10-28 (redesignated to Runway 11-29). The work involved full-depth reclamation allowing conservation and re-use of the existing rotomilled pavement and base course, a new pavement section incorporating fiber-reinforced plant mix, and safety area grading. 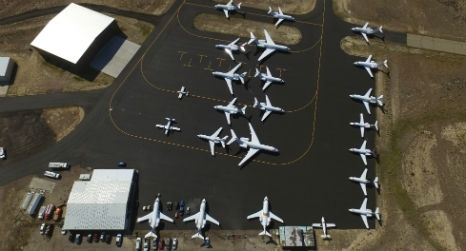 Saratoga Municipal Airport/Shively Field, Master Plan Upgrade - A new master plan, which will guide development at the airport for the next 10-20 years, has been completed and approved by the FAA. 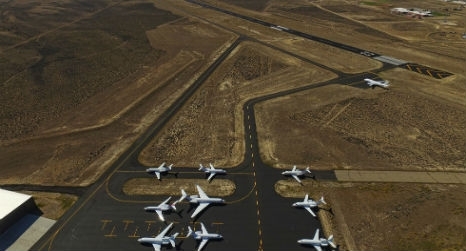 Along with the Master Plan, SCE also completed a Record of Survey for the Airport to identify and monument property designated for aviation uses. 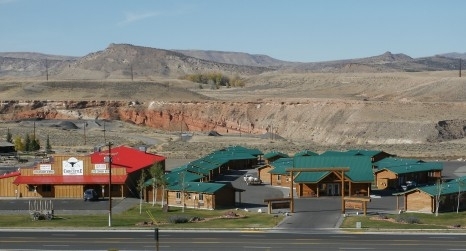 Brush Creek Ranch, Carbon County, WY - SCE is providing on-going engineering and surveying services for Brush Creek Ranch, located southwest of Saratoga in Carbon County, Wyoming. Our services include septic system design, site plan surveying, and planning support services. 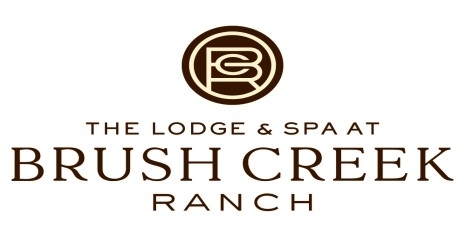 Brush Creek Ranch has been named the No. 1 Resort in the U.S. four years in a row by Conde Nast Traveler's Reader's Choice Awards. Irrigation District Projects - Every year since 2004, SCE has designed and aided in construction of replacing open laterals into pipe for conservation purposes. The length of pipe laid for these conversions totals over 232,000 feet (44 miles). SCE has designed and served as construction administrator for over 180 pipeline structures and numerous open channel control structures within the canal systems. 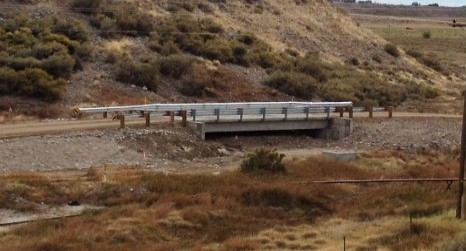 City of Riverton/Wyoming Department of Transportation, Riverview Road - In 2014, construction was completed for a mile-long section of Riverview Road in Riverton. A WYDOT Urban Systems project, the project included grading, drainage, road realignment and widening, canal crossing improvement, a bicycle/pedestrian pathway, sanitary sewer and treated water system improvements, and irrigation-related components. 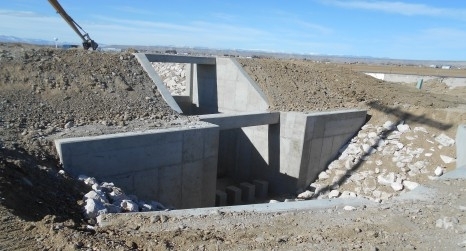 Big Horn Canal Irrigation District 15-Mile Check Structure Replacement Project, Washakie County, WY - Completed in April 2015, this impressive structure is now fully operational. 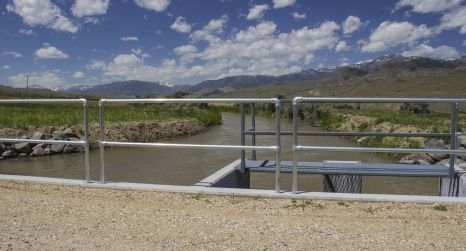 SCE designed this 750 cfs, check/spill structure on the Big Horn Canal. 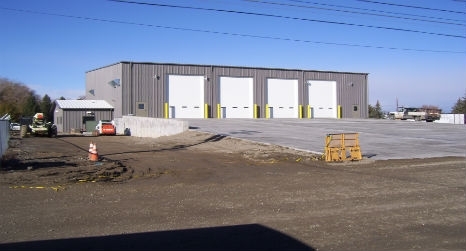 SCE also served as construction administrator through the completion of the project. 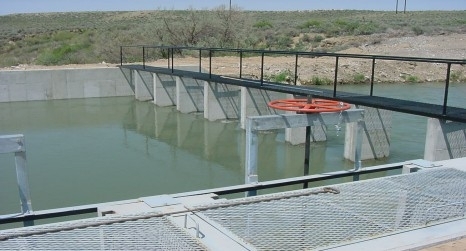 The structure design includes automation and measurement of main canal and spillway flows, as well as a vehicle crossing. 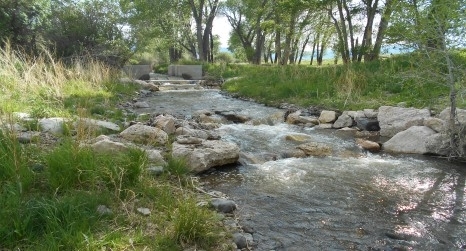 Trout Unlimited Diversion/Stream Restoration - At several locations on streams in Park, Fremont, and Washakie counties, SCE has worked with TU to improve irrigation diversions to allow fish passage in the streams, while screening fish from the irrigation facilities. 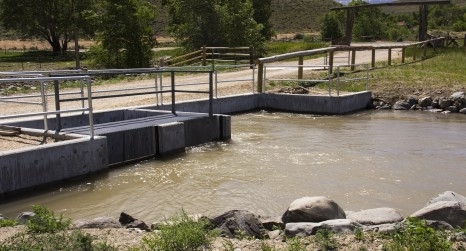 This is done using natural materials to improve efficiency of the diversions for irrigators' purposes while maintaining, improving, and protecting the natural stream channel. 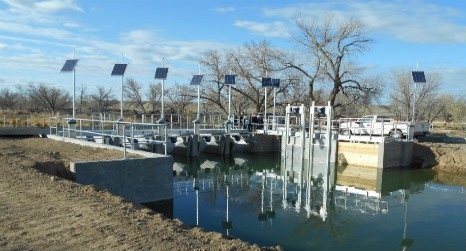 Marathon Oil, Midwest Draw Siphon Crossing - SCE sub-consulted with structural engineer, JL Engineering of Cody, for the design and installation of a precast concrete bridge to span a 90+ year-old, underground irrigation siphon on the Wyoming Canal. 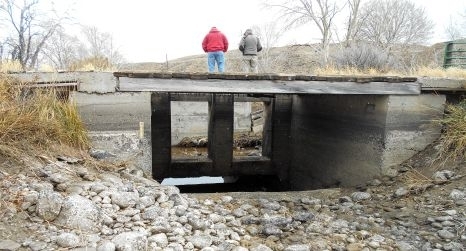 Placed on cast-in-place concrete abutments, the bridge was constructed to allow 50-ton trucks to cross the aging siphon for a major project Marathon was commencing in their Steamboat Field northwest of Riverton. 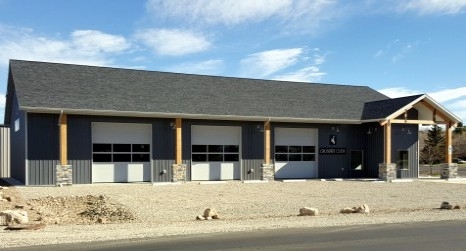 The project was complete and put into use in September 2014. 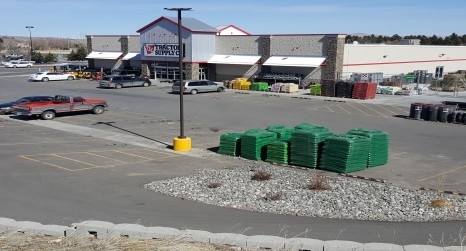 Commercial Development, Park County, WY - SCE has completed multiple site plans for commercial development throughout Cody and Powell, Wyoming. 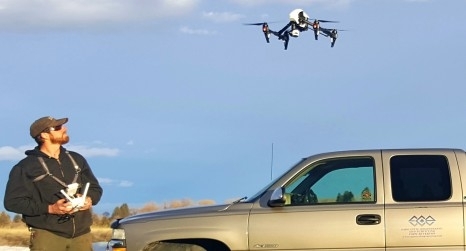 Unmanned Aerial Vehicles - For the past several years, SCE has provided surveying services for the Cody Stampede Board’s gravel pit to comply with their annual reporting requirements. In 2016 and 2017 and with great success, SCE completed the topographic survey using an Unmanned Aerial Vehicle (UAV). 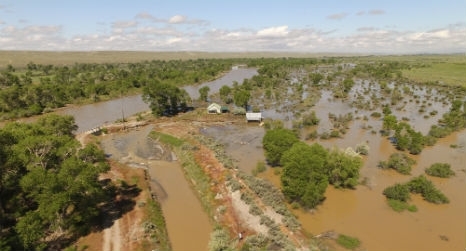 Along with providing accurate digital surface models and aerial imagery for engineering design, UAVs can also be used in other useful applications, such as impact assessment following storm/flooding events or other situations where visual data of inaccessible areas is desired. SCE also collected detailed topographic survey data by UAV for a potential commercial development site that includes active slide areas, steep topography, and an adjacent stream. Powell Municipal Airport, SRE/Terminal Building - SCE led an improvement project involving demolition of an existing structure and installation of a water and septic system, utilities, vehicle parking area, and a new building. 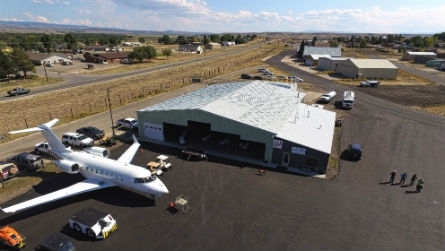 The new building houses two snow-removal-equipment bays, offices, and a comfortable pilots' lounge. 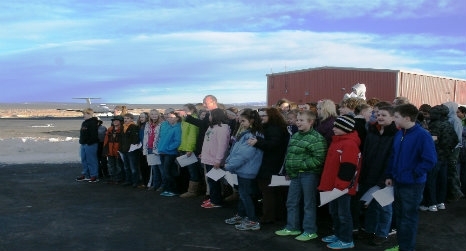 Construction was completed in November 2013, and a ribbon-cutting celebration took place with Governor Mead on December 17, 2013. 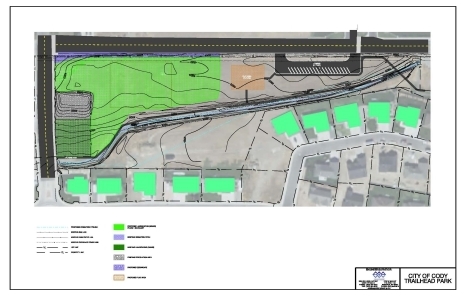 City of Powell, Transfer Station - In cooperation with Inberg-Miller Engineers, SCE aided in the site planning, design and construction of a new transfer station for municipal waste due to the closure of the City's landfill. Park County, Diamond Basin Road Design- SCE provided design, construction support, and boundary survey services to Park County for the Diamond Basin Road (County Road 6UU). 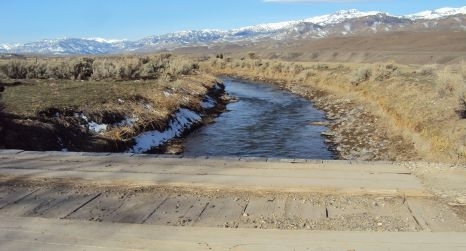 The overall project extended from County Road 6SR, west to the South Fork Highway for a distance of approximately 2.6 miles. 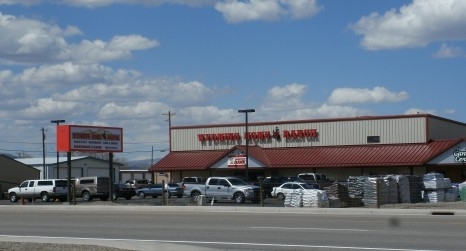 ESGR Freedom Award - In 2015, Sage Civil Engineering was recognized as a nominee for the Wyoming Employer Support for Guard and Reserve Freedom Award. The Secretary of Defense Employer Support Freedom Award, is the highest recognition given by the U.S. Government to employers for their outstanding support of employees serving in the Guard and Reserve. Each year, Guard and Reserve employees, or a family member acting on their behalf, have the opportunity to nominate their employer for the Freedom Award. The ESGR State Committees review nominations and submit recommendations to advance to the next round in each of the three categories: small employer, large employer and the public sector. A national selection board comprised of senior DoD officials, business leaders, and prior awardees select up to 15 employers to receive the Secretary’s prestigious award. 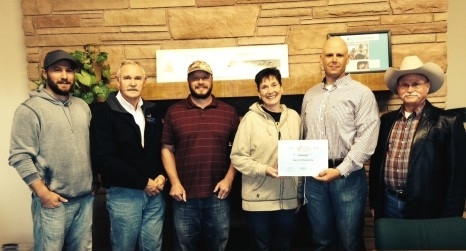 Identified in the picture below are left to right: Jed Smith, Terry Wilkerson (ESGR) Gary Webb, Maryann Alquist, Brian Hedrick (nominating soldier), and Dan Coe (ESGR). Land Surveys - SCE provides complete land surveying services, including subdivisions, boundary surveys, lot line adjustments, design/construction surveys, and ALTA surveys. In addition, many of our projects involve topographic surveying and right-of-way mapping. 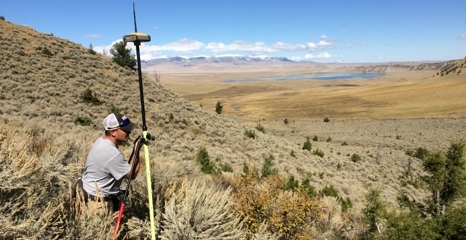 Our survey team is completing projects within the Big Horn and Wind River Basins and in Carbon County, Wyoming. Water Rights - Among the numerous water rights projects SCE has completed or is in the process of completing, are supplemental supply applications and petitions for change in point-of-diversion and place-of-use, as well as assisting landowners with applications for new rights. 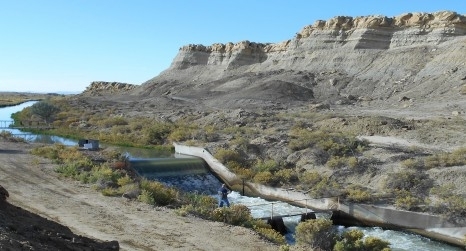 Shoshone River TMDL Project - As a subconsultant to RESPEC, Inc., SCE worked in support of a project to study the Shoshone River Watershed Bacteria TMDL between Buffalo Bill Dam and Lovell, Wyoming. 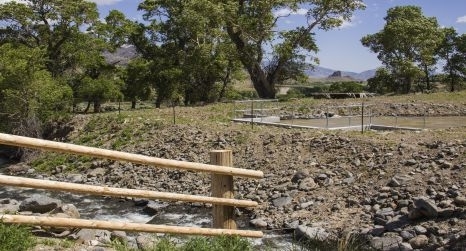 Work performed by SCE included installing and maintaining pressure transducers to record continuous flows on impaired streams within the project area, collecting data regarding irrigation return flows for hydrologic modeling, and providing support for public outreach. 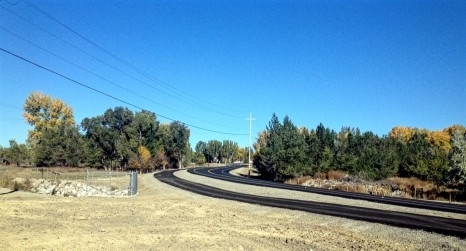 City of Cody, 29th Street Pathway Project - SCE completed professional services including survey, design, bid, construction observation and project close out for the construction of an 8-ft wide multiple-use pathway along 29th Street between Central Avenue and Sheridan Avenue. 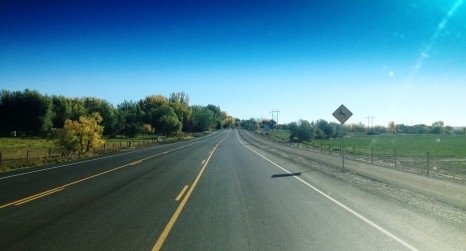 The pathway, part of the City of Cody's Safe Routes to School plan is complete and in use.